GrandChase-Dimensional Chaser will be officially launched in the Philippines tomorrow, July 3, 2018. This exciting RPG recently had its pre-registration and as of today, it has reached more than 100K in the Philippines. KOG Director Rafael HS Noh who graced the press conferenced last June 23 said that he was happy to meet the gamers from the Philippines and that the positive response was one of the reasons why KOG decided to launch the game as early as possible. Those who pre-registered will get a monthly reward such as S Rank Hero Package, 200,000 Gold, 3,000 Prana, and 3 Monster Crad x 10. 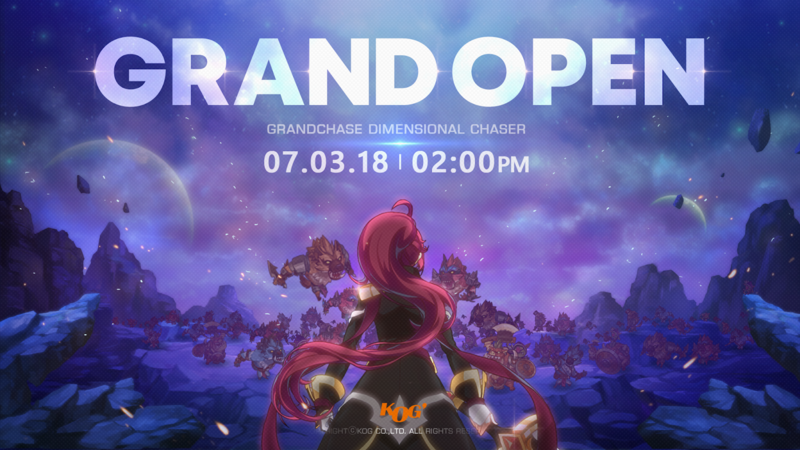 "GrandChase-Dimensional Chaser" is an official sequel to the jit online game 'GrandChase' and it has been produced by the Original GrandChase Online Development team. It inherits the original game's spirit and was released in January in Korea. Since the launch in Korea, it had achieved the top game in the Apple App Store and Top 2 of Google Play Store. And "GrandChase-Dimensional Chaser" will be released through its local publishing partner, Elite Games. Pre-registration for GrandChase-Dimensional Chaser is via https://www.grandchase.net/event1. Read more about the press launch of GrandChase-Dimensional Chaser here --- GrandChase Reboot.